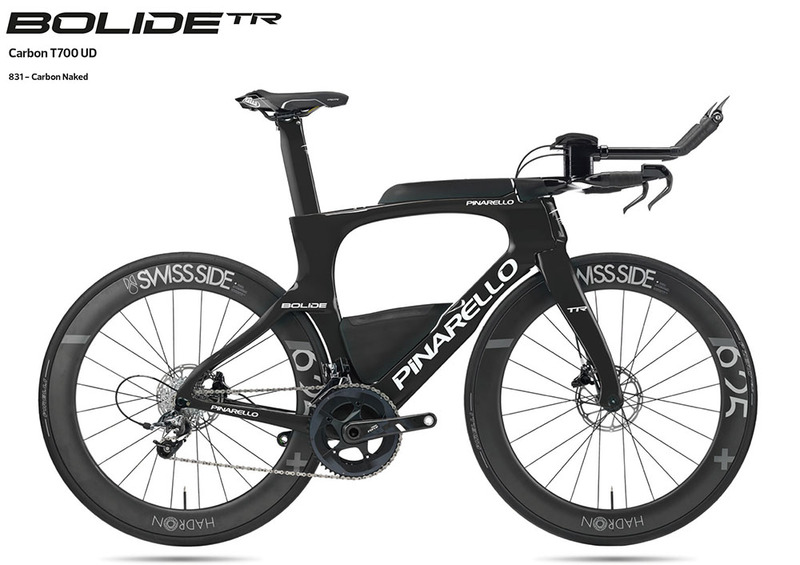 Pinarello, the bike supplier to Sky, who won two Grand Tours this year, has just announced a new version of their Bolide time trial bike for triathlon, available in two versions - the Bolide TR+ and Bolide TR. They will be available in Canada as framesets through Pinarello dealers - special order only. 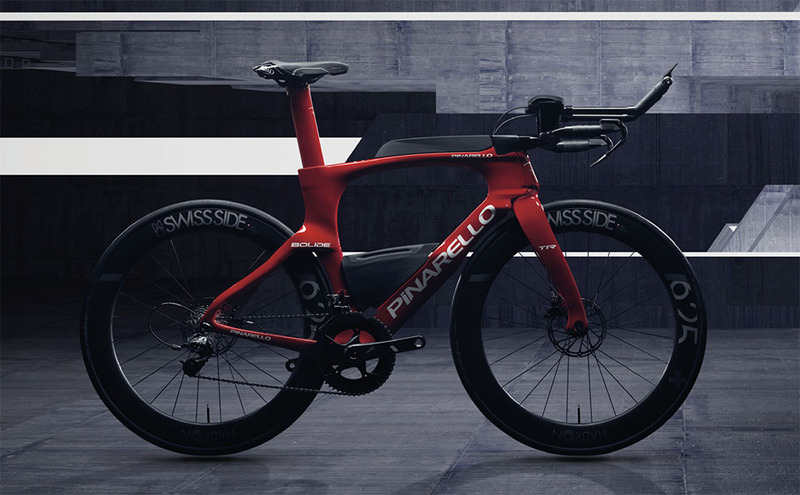 This is the first triathlon-specific model released by Pinarello. The TR+ frameset will retail for $15,800 (CAN). Since this model does not have to meet the technical requirements of the UCI, Pinarello claims it is even faster. Both models feature monocoque carbon frames, with the TR+ model using aerospace-sourced Torayca T1100G UD carbon with Nanoalloy. The TR uses T700 UD carbon fibre. The the main changes from the UCI-legal version are the integrated storage units and the addition of disc brakes. 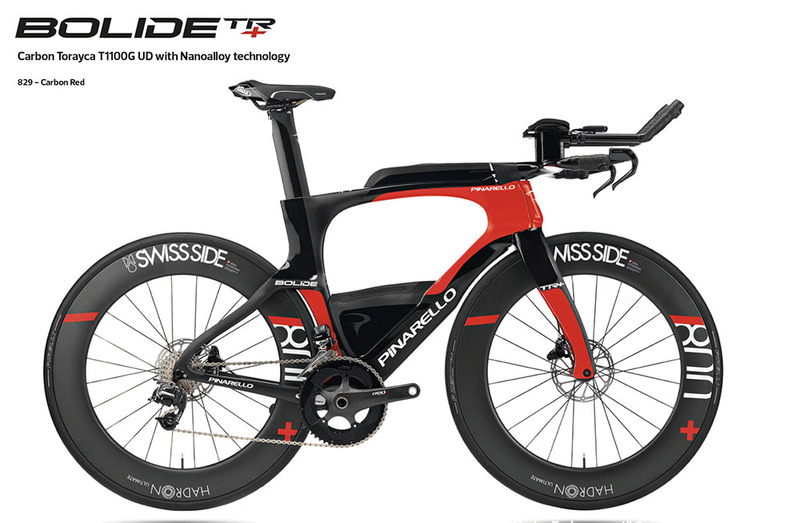 Pinarello claims the storage boxes provide an aerodynamic improvement to the TT Bolide, and extensive wind tunnel testing has refined the design for the TR+. However, it isn't just the addition of storage units and disc brakes that differentiate TR+ from the UCI-legal TT version -the geometry has been modified, with a 35mm increase in the headtube height to improve ergonomics and an 8mm lowering of the bottom bracket for better stability. The seat tube angle is a steep 78 degrees, and the chainstays have been shortened to 395mm. The tire clearance has also expanded, with the TR+ able to take up to a 28mm tire on a 30mm rim.